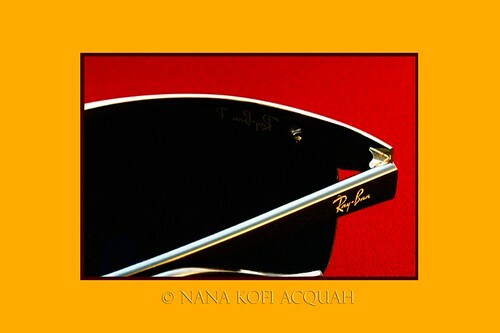 Ray Ban 1, originally uploaded by NanaKofiAcquah. Ghana is a hot, bright country 99% of the time which gives me good excuse to satisfy my lust for sunglasses. Yesterday, I was home, recuperating from 3 weeks on taking photos for Nike... and I thought... "Hey why don't you pick up that macro lens and see what you can do to them goggles?"